The exclusive distributor of the regional products listed below is REGIONfood. 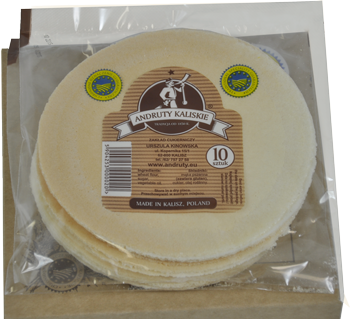 Kalisz wafers are packed in translucent foil with our printed brandname. 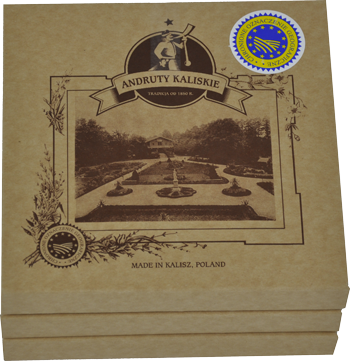 Kalisz wafers, in boxes of 20 pieces (2 packs -10 pieces each). 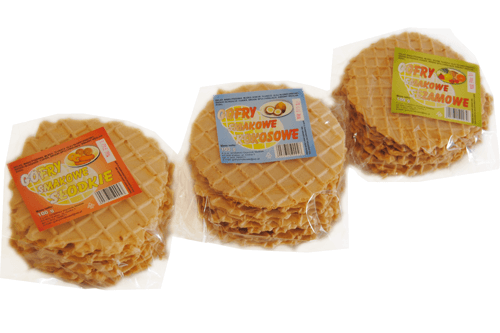 Kalisz waffles are packed in translucent foil- 9 items per pack (100 grams). 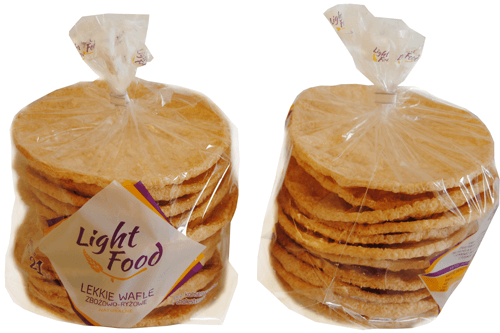 Light rice waffles, without preservatives, sugar or cholesterol.